February 28, 2019 – Cypress, CA – Trident University International (Trident) is proud to present Dr. Angela Willson with its Teaching Excellence Award for the Fall 2018 quarter. A total of 49 faculty members were nominated by students and Dr. Willson was selected as the winner by University leadership based on the strength of the positive feedback submitted. 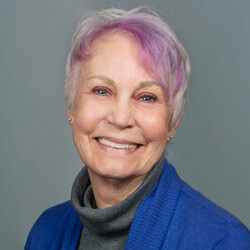 Dr. Willson has instructed in Trident’s College of Health and Human Services for over a decade. She has taught at all program levels and has been a member of numerous Ph.D. dissertation committees. Additionally, she has designed courses in health sciences and management. With both practitioner and academic experience, Dr. Willson has 10 years of experience as a radiographer in both a community hospital and orthopedic office. Previously, Dr. Willson served as Program Director/Instructor of Yuba College’s Radiologic Technology Program. During her tenure, she served on academic committees, including a term as the President of the Academic Senate. She was the co-chair of the distance education committee, where she was a key driver in the establishment of that institution’s distance learning program. Dr. Willson earned a Ph.D. in Health Sciences from Touro University International, a Master of Public Administration from Golden Gate University in San Francisco, and a Bachelor of Social Services from California State University, Chico. She also holds an Associate of Science in Radiologic Technology from Yuba College.